I’m getting self-conscious about my incessant name-dropping. Will try to curtail. So, up in Westchester, there’s a community where a certain Secretary of State and her husband, a former President, have a home. The local high school was attended by three of my closest friends, and also someone who became Miss America, then lost her crown, then became far more famous as a performer (including Broadway musicals) than any pageant-winner I’ve ever heard of. Every year, the students wrote a revue, satirizing school life. And their methodology including writing and rehearsing many more sketches than they wanted to end up with. So, they’d do a rough run-through, take a look at the whole thing, and cut out anything deemed to be a turkey; hence the event’s name, Turkey Day. My friend Adam (I use his name because he’s kind of the progenitor of this story) took the idea of Turkey Day and applied it to the Columbia Varsity Show, which he, nearly single-handedly, resurrected out of many years of dormancy. Also at Columbia around that time were me and a fellow from Hawaii (or so it is claimed; I never saw his birth certificate) who went on to become President – not the one who lives in Westchester. (Must not drop names! Must not drop names!) Since then, every year, the creation of the Varsity Show involves a huge Turkey Day in which a very large number of alums looks at what they’ve got, and then has a long and incredibly detailed discussion of how it might be better. Since there’s nothing I like better than helping make a musical better, I look forward to this rite of spring, and have attended more of them than anyone ever. The collective wisdom of the crowd is wondrous to behold. The critique goes on for hours, and people say truly smart things. I usually tell them that nobody attends the Varsity Show for the plot, so, as far as I’m concerned, the less plot, the better. The writers occasionally run adrift concentrating too much on story. The audience is looking for something a revue can give them – potshots at different aspects of campus life. I also preach in favor of a short show, knowing that the Varsity Show I wrote the score to (along with some guy who just won a prestigious prize for humorists and a woman who’s written for Friends and The West Wing) failed to fill both sides of the ninety minute cassette tape I recorded it on. (Yes, I’m that old.) It’s been reported (by a journalist who sometimes writes for The New York Times) that whenever the question comes up of whether the show’s too offensive, I always tell them what those people can do if they can’t take a joke. “Plebian” is a five-dollar word, usually utilized by patricians. This year I piped up about structure in comedy songs. First, AS WITH ALL SONGS, you need a workable title. Then, it helps as if you think of this title as being akin to the thesis sentence in an expository paragraph. The other sentences support the thesis, give little examples of why the title is true. Sticking to a strict template (as you probably should, in a comedy song), a good number is three supports, possibly ending with the thesis. The hardest part? Making sure each of those three lines is a funny one. Say, can you teach me how to be the perfect meddler? How to insinuate I’ve noted every flaw? How do I firmly stand my ground? How do I throw my weight around? What is the way to be the greatest mother-in-law? The lovely song, Maybe, begins with a quick arpeggio on sixteenth notes, that then calms down into slower notes. And I’ve only described one bar. I hear that, and get the sense that the character’s mind keeps racing, and yet she manages to calm it down, in the end of the measure. In the second A section, which is a bit longer, strings sneak in, adding warmth and refinement. For much of the show, Diana has been associated with frenetic and acerbic rock music (she may be the oldest major character in a musical ever to be depicted with rock, an innovation that makes sense since she’s someone who’s lived her entire life in the rock era). Now that she’s successfully gaining control over her mind, there’s an echo of the ordered respectability one hears in string quartets. Then there’s a third A section (unusual, that) where the rhythm kicks in, a sort of combination of driving pop played against bowed refinement, as if she’s comfortably residing in a harmonious place. On the line “a girl with a mother who just couldn’t cope” the rhythm drops out, and the violins ascend. Listening to this, one is in doubt whether Diana can continue to hold it together. The daughter finally chirps up, in the bridge, and the music has a steady rock feel. This character, Natalie, is peeved but articulate. Leading into a section where the women overlap, the accompaniment figures get very quick, although the pace of the song has only been upped subtly. Diana’s next solo section is sparely backed, with half-notes, sometimes pushed. The communication is too important to have much hit the ear besides her voice. When quarter note chords are played, the tempo trails off, which gives a certain halt to words she finds difficult to get across. 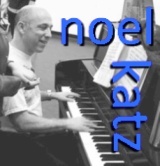 Natalie’s answer is rhythmically similar, with chords on one, two and three but not four. And then, for the final rapprochement, chords hit just on one and two, and the harmonies do not resolve. Next To Normal smartly steers clear of pat endings. I wish I could say those writers picked up their know-how at a Turkey Day, but I’d have to mention their names, so I can’t. I recently had reason to recollect a small triumph from my youth. It was the first time I got paid for writing anything, and it was a substantial amount of money for me at the time. I sold a story to a television producer. Subsequently, he failed in his attempts to sell it to the networks, and that was that. Some of the best musicals of the 1960s were written by folks who used to pen scripts for the small screen: Peter Stone (1776), Neil Simon (Little Me, Sweet Charity, Promises Promises) and Michael Stewart (Bye Bye Birdie, Carnival, Hello Dolly) brought skill sets borne of their Golden Age of Television experience. And it’s not just librettists: Stephen Sondheim wrote for a sitcom before getting produced on Broadway. So, it’s a fair supposition that there’s at least a little to be learned from stuff on the tube. I see that two women I’d created revues with in two different and unconnected decades are now working together on a new sitcom. Skills honed in musical comedy land, now applied to the small screen. To do the reverse, make sure you’re examining good television. Now I’m not going to spend time here placing different series into “good” and “bad” categories. What matters are the elements that make up a good episode. Be analytical about it as any academic: why do you enjoy the television shows you find particularly well-written? One of the things you’ll notice about filmed television (as opposed to multiple-camera sitcoms, a dying breed), is that scenes are over quickly. So, each hour contains a multitude of ends-of-scenes. The conclusion of a scene is called a button, also used as a verb. The writer must ask herself: How am I going to button each scene? One common way is with a joke. Go out on a big laugh, and the viewer won’t mind being taken away from the action that’s just been presented. If it’s funny enough. Another out is the shocking revelation. If this gives the viewer fodder for contemplation, you can go to a commercial break and viewers will still be thinking about it by the time they’re finished pressing Fast Forward. Of course, commercials, or, on long-form series, ends of episodes can use a good cliff-hanger. I’ve been saying for years that musicals need to get the audience wondering what will happen next. A good long-form serial will keep you wondering all week, and that next episode becomes appointment television. You can end scenes with dramatic moments which don’t require further exploration. One very long-running television show gave a character a cancer scare, and, in the final scene, she got the good news she didn’t have cancer. A cause for celebration, but the writer knew we didn’t really need to see that celebration. In musicals, we’ve a distinct advantage: We can always end our scenes with applause-earning numbers. But a scene that ends without a button looks damn awkward, in either medium. And consider this: energy-wise, it’s rather difficult to end a big song and then resume the same scene with dialogue. The audience feels the huge drop in intensity when you go from sung (and, perhaps, danced) material to spoken words. Don’t ignore the drop. I once had a bunch of workers happily goofing off in an impromptu production number, which of course was greeted with an ovation, and then the boss walks in, asks “What’s going on?” and the awkwardness of the comparative silence became a joke in and of itself. One network television series that, it’s generally acknowledged, was particularly well-written was The West Wing. Quite literally, when my wife is home sick, she takes out season-set DVDs and revisits episodes she’s seen many times. They’re worth looking at just to see how scenes end. When you’ve viewed a lot of effective endings, you’re more likely to come up with effective ways of ending scenes in your musical. And, if you’re smart, you won’t have as many scenes in your show as you’d find in a typical West Wing episode. Too many buttons makes for an unwieldy suit. Years ago, I attended a new musical comedy with a television comedy writer. Critical of the effectiveness of some of the jokes, he speculated they wouldn’t have made it out of rewrite night on his show. This was a big Aha! moment for me. Every sitcom, before it goes before the cameras goes in front of a large table of funny sorts: punch-up specialists, jokifiers, the layers-on of levity. Why shouldn’t musicals, my brain stormed, go through the same process? As it turns out, musicals do go through the same process, and I vowed that one day I’d have a script of mine improved by beneficent clowns around a table. Many years later, around a fancy dinner table at my director’s apartment, the dream came true. Some of the funniest people I know read the script out loud, and, wherever appropriate, batted better and better gags back and forth. My script grew far funnier that night. And now I suppose I have to quote one of the rewrite gang’s added jokes. This exchange didn’t survive into subsequent drafts, only because the character they’re talking about changed so that she wasn’t a klutzy dancer. All morning she’s been kicking holes in the scenery trying to learn my dances. So I brought her over here. All those Olivier Awards recently going to Matilda reminds me I once wrote a song by that name. It was part of a television pilot around ten years ago, in which characters kept breaking out into song. The networks scoffed: a musical comedy TV series? That’ll be the day. On the Titanic centennial there seems to be some sort of obligation that every blog focus on the tragedy. And I might as well confess it: the catastrophe was completely my fault. I thoroughly botched it. But at least I got paid. It’s rare I get hired – well, we could stop that sentence right there: It’s rare I get hired. But I meant to say it’s rare someone wants me to be just the librettist of a piece. And that makes sense because people hear my songs, and therefore become aware of my composer-lyricist abilities; for book writing, you’ve got to see a performance of one of the shows I wrote the book for. And that’s not most of them. A wonderfully warm actor and singer, Lee Winston, had some sort of relationship with a musical group that was planning a Titanic-related performance. They’d meticulously researched what pieces were played by the ship-board ensemble, including, most famously, Nearer My God To Thee. The story goes that the musicians’ sense of duty to the vessel was such, they continued playing until a big wave drowned them all. Lee’s idea was to add dialogue. It would be interesting, and far more moving, to get to know these musicians. They’d play all the music, and, when the characters went on break, they’d interact. Certain that he could procure my modest fee from the ensemble, Lee told me to go ahead and write it post haste. The structure of this little drama was dictated by the chronology of events. Get to know the musicians, then there’s this big crash sound. There’d be some uncertainty about how serious the accident was: after all, the Titanic had been touted as an unsinkable boat. Worry and panic would grow and then, at the denouement, we’d see the musicians’ decision process, to stay on board, playing. Now, all of that sounds plenty dramatic, but there’s an inherent problem: the audience is ahead of it. I don’t know how widely-known it is that the band played on, but surely publicity materials for the show would make the ending clear. There was also the matter of making the characters individuals, and lovable ones. That’s something that needed to be established in the opening scenes. And since all the numbers would be diegetic, I couldn’t rely on songs to help characterize anybody. In this way, the project wasn’t like a jukebox musical, which attempts to use pre-existing well-known songs to tell a story. I had my story handed to me, and a large set of songs that weren’t fondly-remembered hits. But now it sounds like I’m making excuses for myself. The script I came up with was perfunctory; none of it heart-felt. The producers of the concert took one look at it and decided their concert should remain a concert. Lee, a man of his word, paid me for the script that would never be used. I felt bad taking the money. While I regret not doing a better job, and have no one to blame but myself, looking back on it, I feel sorry the producers failed to collaborate. A first draft is a little like an architect’s first drawing. It’s a way of beginning a conversation, in which all parties discuss, and put forth their ideas of what the thing should turn out to be. In this case, it was one unimpressive draft and the plug was pulled. 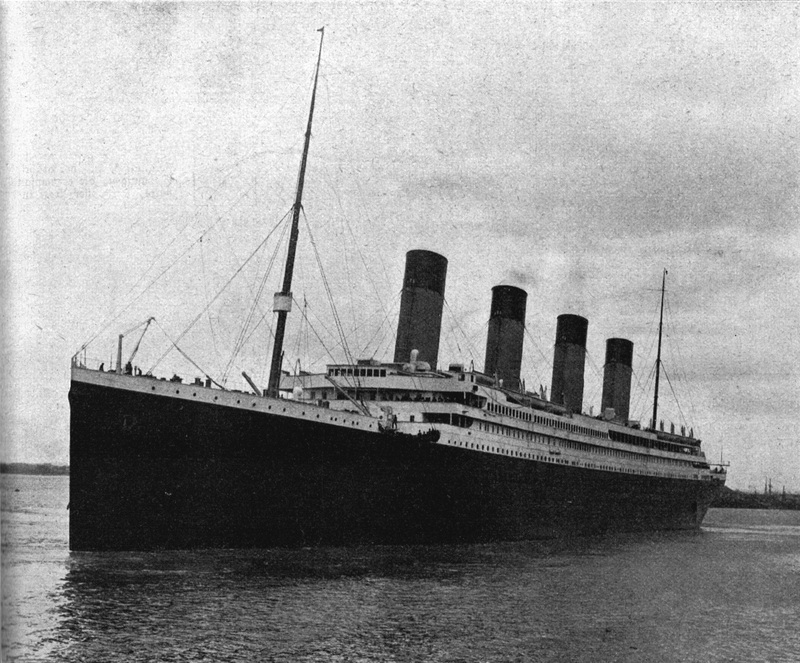 A few years after my ship sank, and in a hurry (producers apparently wanted the opening to coincide with the 85th anniversary, but failed) estimable Tony-winners Peter Stone and Maury Yeston created a musical, Titanic, and faced some of the same problems. (And both again won Tonys, as did the show itself.) Stone’s approach to the script involved introducing us to an extremely large panoply of characters, assumedly letting us know just enough of each so it would be moving when so many of them die. The quantity of passengers and staff is dizzying, and one song just involves an amusing woman rattling off names and descriptions of First Class toffs. On the plus side, Stone provided a number of romantic situations for Yeston to turn into his typically rapturous songs. There’s a marriage proposal, a new love, and an old married couple deciding to perish in each other’s arms. But ultimately, I think, the authors get done in by this approach. Way too much time is spent introducing new characters; there’s way too little plot. And there’s no denying it feels like they’re just rearranging deck chairs while we’re all waiting for some hardly impressive special effect we know is coming. There was a scene in the 2005 musical comedy Dirty Rotten Scoundrels that I just adored. It took me a number of years to put my finger on why I enjoyed it so much. Once I did, though, I felt I discovered something that’s essential to acting. We’re writing for actors, of course, so it helps to know something of what they go through. It’s a scene between Sherie Rene Scott and Norbert Leo Butz in which Butz’s sincerity is in question. At first glance, it would seem to be a plain love scene, in which a man and a woman grow closer, singing a pretty song. But, in the context of the whole show, the stakes are much greater. You see, Freddy is the pupil of a master con man, who takes him on very much in the manner that Higgins takes on Eliza in My Fair Lady. Also like My Fair Lady, there’s a delineation of class. The teacher is a high-brow con, impeccably tailored, which is part of what makes him successful. But Freddy has no class at all. So, like Eliza at Ascot, there’s considerable tension built up over whether he can seduce an heiress. Can he converse with her without revealing he’s a fraud? And, to up the stakes even more, can he sing a love duet with her? She starts the cleverly-titled Nothing Is Too Wonderful To Be True and it’s so rhapsodic, the audience falls in love with her. Not just a pretty girl with a pretty voice singing a pretty melody (music and lyrics by David Yazbek); there’s something about the way she chooses to celebrate the natural beauty all around her that makes her inherently lovable. Then she turns to Freddy and puts him on the spot: what phenomena does he find Too Wonderful To Be True? Now the fun begins, as we watch Freddy struggle to think of wondrous things: Crazy Glue? The free toiletries hotels provide? Radio call-in giveaways? It’s a parallel to yelling “Move your blooming arse!” at Ascot and yet he’s just charming enough to put it across. There’s a whole host of reasons to love this number, but the bit that I keep using in my teaching has to do with seeing Freddy in the process of coming up with all those Wonderful examples. As played by Norbert Leo Butz, who won a Tony for his performance, the struggle registers on his face, in his whole body. We watch him think, and there’s much fun in that, true tension. And, to some extent, this is what should be going on in all non-diegetic musical theatre, and theatre in general. Characters, usually, haven’t memorized the speech they’re about to make, or the words they’re singing. So, too, the performer is involved with the thought process of coming up with what to say. When we see a dull portrayal by some singer-who’s-not-an-actor it’s often lacking in spontaneity because the lyric feels recited, not discovered. When we see actors in the process of giving birth to the lyrics they sing, songs are more believable, and the players more delightful. Cast your show with folks who can do that and the results will be Too Wonderful, even better than free shampoo. This is the 100th post on this blog. Which means I get to self-congratulate, look back, crow, consider the future, and try to convince readers of this entry to go back and read the other 99. 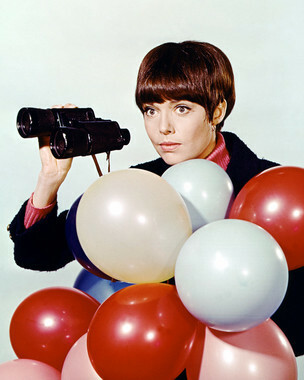 Speaking of “99” – Barbara Feldon. A year ago or so, I ran into Barbara Feldon at the world premiere of a new musical, the name of which I don’t remember. As we chatted, I remembered that a collaborator of mine had once told a marvelous story about complimenting her so profusely she gave him a kiss. On the lips! So, I brought up the story to see if Feldon would remember. She did not. Which crushed my friend. I guess kissing him wasn’t the most memorable night of her life. But hey, we know she attends original musicals, so she’s aces in my book. And so are you, for reading these mad ramblings. They come out very regularly, compared to most blogs: every five or six days; usually six. Sometimes I have to strategize when they’ll appear, weeks in advance, if I know I want one to come out on a certain date. Once such “timed” entry was my most popular ever, a review of the television abomination, Smash. In a way, I’m disappointed that my comments on a lousy network pilot should attract more attention than, say, a rave about a musical experienced on stage. The point I’ve probably made more frequently here than any other is that musical theatre is an art form that must be experienced live, in a theatre, not in an excerpt. The magic of musicals, to an extent that can’t be overstated, involves a flow of energy back and forth over the footlights. The performer, live, is putting a voice, and facial expressions, and body language, and movement, out there for the delectation of a live audience. The audience, in turn, reacts – most often with laughter, but sometimes with gasps, inevitably with applause, and, a friend of mine swears Bernadette Peters could hear my sniffles as she sang Children and Art on stage at Broadway’s Booth Theatre. This has an effect on the performer, who will adjust what she’s doing in a thousand subtle ways, all because of the live response. And I seem to have lost my point, which is that I wish more people would go out and see new musicals. Certainly, sitting in your living room gaping at a cathode tube is the palest of substitutes. And the interest in the Smash critique rather than the one about The Scottsboro Boys reminds me that more people are staying home than going out. And do they make those things with cathode tubes any more? I doubt it. They did when I was a kid, though. And when I was a kid – I kid you not – I was very excited to discover that Ed Platt, who played the Chief on Get Smart, had been in musicals. Some weird snobbism exists in me that leads me to feel that the actor who’s done musicals is somehow a superior creature to one who hasn’t. I admire the ability to appear live, eight days a week. And the ability to act while singing. I don’t particularly care for opera, as I’m somewhat accustomed to singers there sounding great but not acting so great. One of my more popular posts delineates the basic differences between an opera and a musical: I don’t really get what’s so fascinating about semantic distinctions. But as I’ve cheerfully admitted, I’m anti-semantic. A more popular post than that referenced the anti-Semitism in the unaccountably popular comedy song, Shiksa Goddess. Here I won’t complain. I accept that a lot of people love that song, and I’m glad so many are interested in my pointing out its flaws. There’s something satisfying in holding a widely-held belief up to the light and revealing the warts. If I’ve changed a few minds over the hundred posts, well, that’s gratifying. Used to be, I’d read newsgroups, message boards and chat rooms about musical theatre. From time to time, I’d feel a compulsion to answer some outrageous statement with a calmly-worded and, in some way, humorous response. Then, one miscreant decided to devote hundreds of posts to saying I was a terrible person. Eventually, he chased away the group’s entire readership. Along the way, I’d gotten into the habit of giving my opinions about musicals, but there had to be a better way of scratching that itch. That every musical theatre writer nowadays needs to have some sort of presence on the web. That utilizing WordPress would make blogging easy, or, at the very least, do-able; in any event he promised he’d answer questions. That besides my individual voice as a show-writer, I’ve a unique ability to put in words a perspective on musical theatre others would find valuable. Immediately I had this anxiety that blogging would take up time usually devoted to musical theatre writing. But the argument was made that it would replace the similar time I used to spend on newsgroups and on-line forums. I also feared that Mark would have to spend so much time answering my questions, he’d never find time to write anything himself, but right now he has a new musical, The Usual, running in Michigan until April 22. And I’ve had two shows on the boards since this blog began: the trunk-song revue, Things We Do For Love and the Portland production of The Christmas Bride, which required a new orchestration (the great, time-consuming, auto-didactic accomplishment of 2011). So that initial fear failed to materialize: I’ve gotten stuff done. But another anxiety is always with me: that I’m not getting enough done. To quell this, I thought back to the back pages of some songbooks I dearly loved as a kid. There were separate collections of Gershwin, Porter and Arlen that listed the composer’s complete output, year by year. And, some years, they wrote nothing. Or just one song. So, if a few months go by and I know I’ve completed nothing, I can still feel like I’m in the company of geniuses. As I’m yammering on, celebrating the completion of my hundredth post, I see I’ve gone over a thousand words on this one. I try to keep these things shorter than a thousand words, and include links, videos, audio files and amusing Easter eggs. The one thing I’m not sure I can continue doing is the post-naming protocol. But, since nobody seems to have figured out why each of the 100 has such an odd title, perhaps no one will miss it. You are currently browsing the There's Gotta Be a Song blog archives for April, 2012.